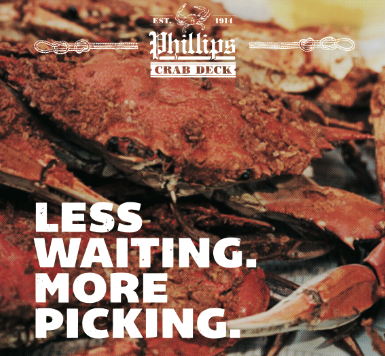 Celebrate the time-honored Jersey shore brunch tradition in a spirited style with Phillips Seafood. On Saturday, July 25, join Chef Paul Drew and White House Chef Guy Mitchell at the Pier Shops at Caesars for an indulgent, multi-course experience. As you sip specialty cocktails, walk through the culinary process with Chef Drew as he prepares his bourbon-inspired dishes. Tickets to taste this exclusive four-course, bourbon inspired food and drink experience are $65 per person and on sale HERE. Please call 609-348-2273 for more information. Phillips Seafood overlooks the Atlantic Ocean in The Pier Shops at Caesars; One Atlantic Ocean, Atlantic City, NJ 08401. Phillips is open from 11 a.m. to 10 p.m. Sunday through Thursday and 11 a.m. to 11 p.m. on Friday and Saturday; weekend brunch is served every Saturday and Sunday until 4 p.m. For questions, call 609.348.2273 or visit www.phillipsseafood.com.